Sarah Nader - snader@shawmedia.com William Hicks (left) of Algonquin and Jo Ann Fritz of Grayslake talk near the intersection of Longmeadow Parkway and Sleepy Hollow Road in Algonquin Friday, Nov. 17, 2017. 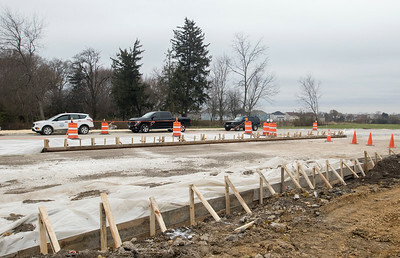 Plans for the controversial project call for a four-lane, 5.6-mile east-west corridor connecting Randall Road with Route 62. The project was suppose to be completed by Nov. 15, but won't be done until mid-December. Sarah Nader - snader@shawmedia.com Construction on Longmeadow Parkway in Algonquin continues near Sleepy Hollow Road Friday, Nov. 17, 2017. 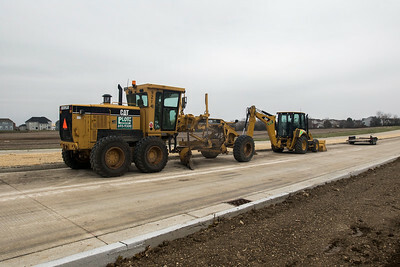 Plans for the controversial project call for a four-lane, 5.6-mile east-west corridor connecting Randall Road with Route 62. The project was suppose to be completed by Nov. 15, but won't be done until mid-December. 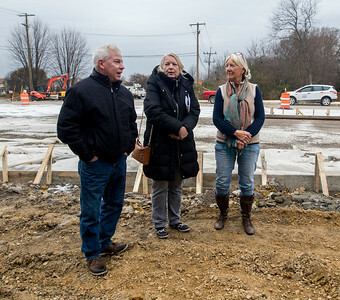 Sarah Nader - snader@shawmedia.com Upset about the Longmeadow Parkway project Dave Reece (left) of Algonquin, Billita Jacobsen of Carpentersville and Jo Ann Fritz of Grayslake meet near the intersection of Longmeadow Parkway and Sleepy Hollow Road in Algonquin Friday, Nov. 17, 2017. 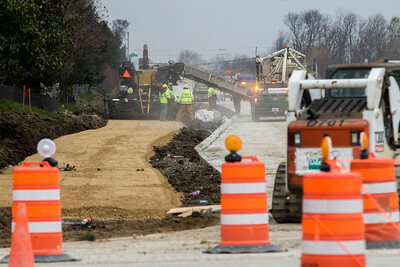 Plans for the controversial project call for a four-lane, 5.6-mile east-west corridor connecting Randall Road with Route 62. The project was suppose to be completed by Nov. 15, but won't be done until mid-December. William Hicks (left) of Algonquin and Jo Ann Fritz of Grayslake talk near the intersection of Longmeadow Parkway and Sleepy Hollow Road in Algonquin Friday, Nov. 17, 2017. 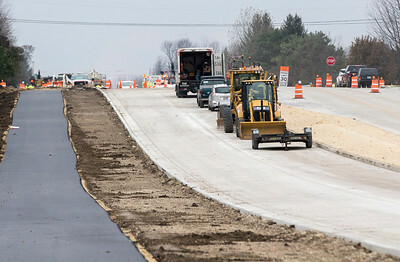 Plans for the controversial project call for a four-lane, 5.6-mile east-west corridor connecting Randall Road with Route 62. The project was suppose to be completed by Nov. 15, but won't be done until mid-December.